Apparently Ysabela had too much free time on her hands today. 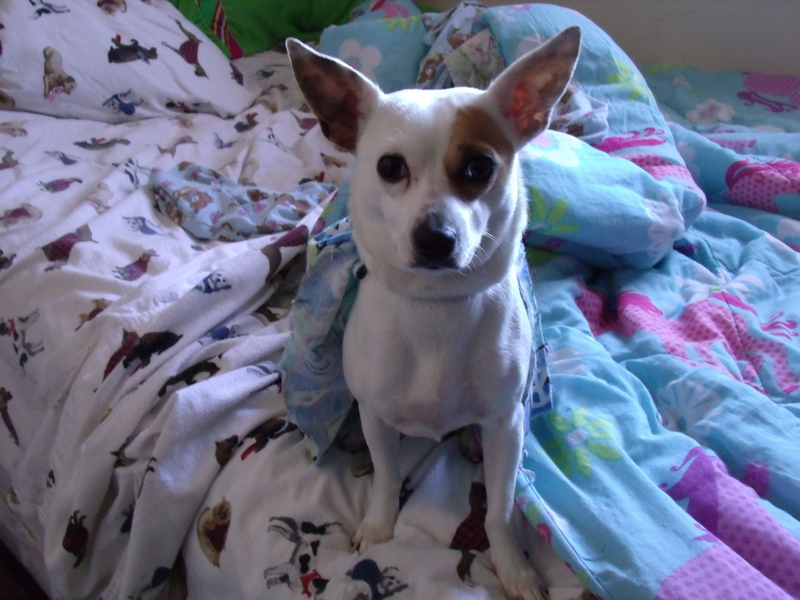 She put a superhero cape on Jinx. 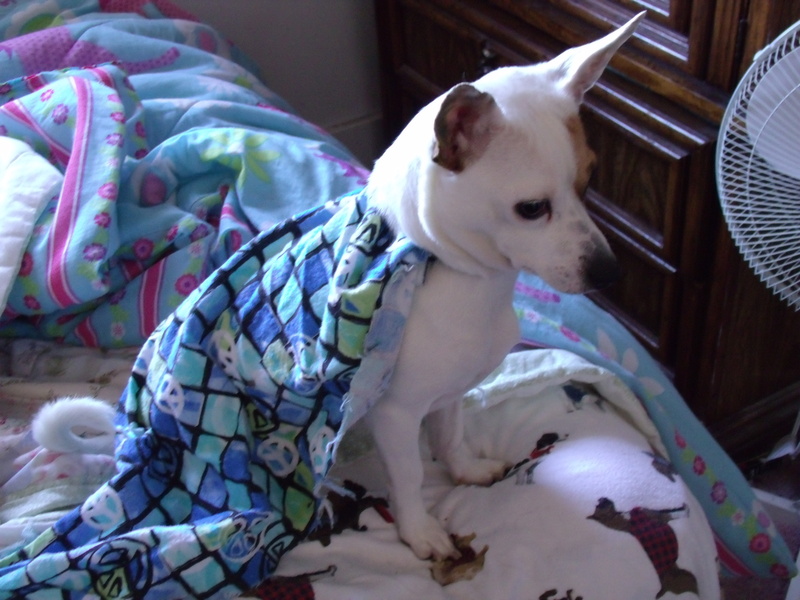 I think the dog might have preferred some flannel jammies instead since it’s so cold! What a sweet little dog.